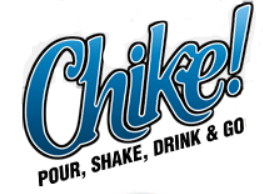 Chike is a company that knows their products. They started with meal replacement and high protein coffee powder, but have recently introduced Chike PB Peanut Butter. It's a powder that can be mixed with water to make peanut butter or can be sprinkled in shakes, smoothies and even just plain milk. Anywhere you would add peanut butter or want te peanut butter flavor you can add Chike. It is made of just Roasted Peanuts, Sugar and Salt. But the amount of sugar is small. Just 1g in 2tbsp of mix. It's also perfect for cooking with in desserts and such. We use it here as regular peanut butter, but I also love adding a spoonful to replacement shakes in the morning. Gives vanilla or chocolate a bit more flavor. The powder is nice to have on hand. It doesn't have oil in it and it's lighter/smaller than a jar of peanut butter. It's nice to travel with too to give you extra protein and flavor to things. Price: $6.95 for a 6.5oz jar! Thanks for this awesome giveaway! I love powdered peanut butter. I use PB a lot in my baking, flavoring plain yogurt, etc. I would love to use this in smoothes. We make a lot of vegetables and fruit smoothies in the summer. I've never tried this but, would love to. I would use it in my protein shakes to ramp up the protein even more! I'd definitely add it to my oatmeal or smoothies for a peanut butter flavor and protein boost! I would add it to my Herbalife shakes! I would use it to make peanut butter cookies..yum! I think I would just use it like peanut butter otherwise I think I would use it in smoothies! Adding it to protein shakes would be awesome. Thanks for the chance to win Chike PB!!! I'd take it to the baseball games. I would use it for desserts. I would use it for milkshakes. I would use it for peanut butter cookies or fudge. I'd add this to a banana smoothie - oh yum! I think with my baking . Maybe when I make peanut butter cookies. I would use it in shakes/smoothies! Baking too! I would use chikes PB in smoothies and maybe try sprinkled over a jelly toast or biscuit! I'd use it to make Peanut Butter Cups! This would be great to make smoothies with! Thanks for the giveaway I would love to try! I'd add a little to milk! i would use this on my breakfast waffle, pancake, or bagel!